LET THEM EAT FAKE ! This collection is an herbarium of dried poem specimens, mounted on dreams of paper, pressed by ear. A spade, a pen and a glass of water. 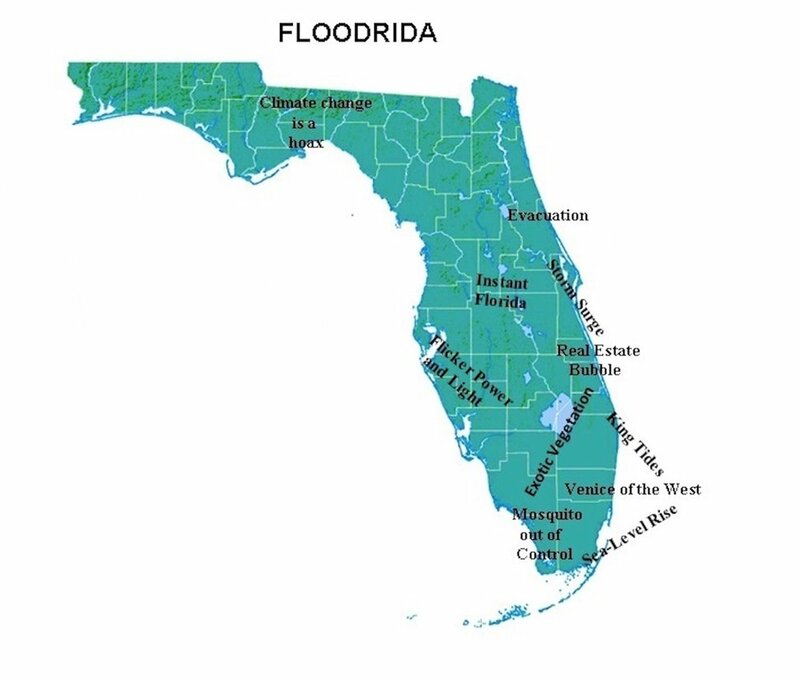 The secluded state of Florida is divided into 67 gated counties. In order to preserve the impressive multi-million dollar fortresses, the municipalities have built a number of defensive walls and barricades. Homeowners associations against outsiders are the new city halls. They meet twice a month to create new signs of restriction such as: No smoking, No littering, No dog, No trespassing, No swimming, No diving, No fishing, No crabbing, No biking, No parking, No loitering No left-turn, No u-turn, No horn, No children, No public access to the beach, No exit, No photography, No wifi, No shirt, No shoes, No service, No germs, No democrats, (you know who you are...) No tattoos, No “nos”, No F...but F… off. My first one-woman shoe on stage in 2019. A woman in quest of stability moving from Paris to NYC. A creator possessed a palette confined to two colors only : cerulean blue and myrtle green. Thus, he painted a peninsula that he later called Flowrida. And with the sorcery of sounds and the transport of words, his country was colored with nuances and splendor. We have leaned, in olden days, on the sky palimpsest. Dawn babbles in the ear of the insensible, but he refused to listen. Dawn is sober, however, it reveals an enigma. In its purpure message, dawn discloses the path, the key of destiny. Promise of resumption, rebirth. The dew is the essence. A Peppy Teardrop was prisoner of a tyrannic cheek. One early morning, she decided to escape from her jailer by rolling down on Sir Neck. By chance, she landed in a fully equipped kitchen, travelled on a valiant mop, but the water of its bucket was thrown away in the river. A magic adventure started. After a ride on a golden rainbow trout, Peppy Teardrop found herself splashing around in a new ocean called Poetic, unknown by scientists. Peppy was joyful, alive and the tyrannic cheek was only a distant painful memory. It was the cheek of a French romantic poet. Peppy was his slave, forced to work and make him cry hours by candlelight. Conversely, Peppy was a funny, free little girl and refused despotism. At dusk, a genie appeared on my desk and offered to keep in a flask, for eternity, recollections of my life. I had only a few seconds to indicate three, only three precious memories and seal them forever. A book on his branches. Who are you stranger ? State your name, your occupation, your address. What do you really mean? Are you an author, a creator ? “ No, this seems too arrogant to me. Maybe I am an acrobat… a beggar of risk… a clandestine of languages. Then, who are you truly? In musicality and in Beauty. To the subtle soothing darkness falling. When my soul scarcely reaches yours. Palms of the hands offered to the sky.